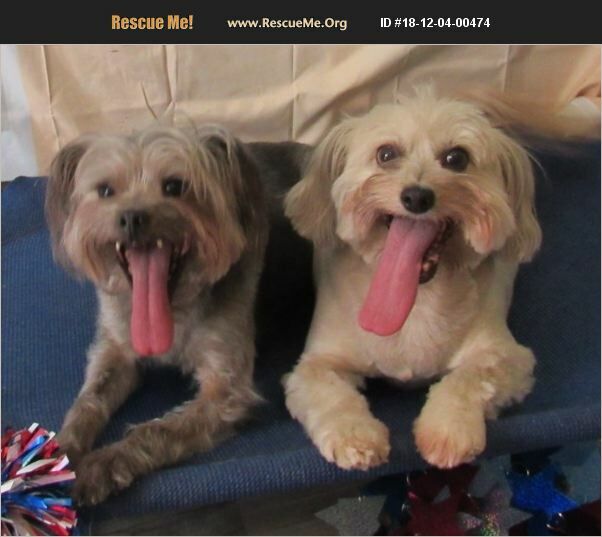 Celeste and Gideon came to us from a neglect situation involving 10 dogs in Tracy, TN. I have included their intake pictures so you can appreciate how far they have come. They went from semi-feral to sweet dogs to run to give me kisses now when they see me. We don't know their breed or relationship, other then they are for sure a bonded pair and must go and stay together. We think that Gideon is about 7-10 years old, and Celeste is about 5 years old. Both are fixed, heart worm negative (and on prevention), up to date on shots and micro chipped. They are newspaper trained and have had dental cleanings done recently. Celeste and Gideon do very well with each other, and would prefer to be the only dogs. They are ok with some small dogs similar in size to them, but not bigger dogs. If you have other dogs, a meet and greet is required. You MUST have physically fenced that is very secure. They are diggers and can Houdini their way out at their choosing. For the most part they have remained inside and just going on newspapers for these reasons. They travel well in a crate and are very friendly once they get to know you a bit. They are very food motivated. Celeste walks well on a leash, Gideon currently needs to be carried, he is not as leash savy. Both are around the 20-22 lbs mark. Neither have any current health issues that they are being treated for. Their ideal home would be someone who is home all day who can bond with them and vice versa. A nice retired person or couple who is looking for some companions would be perfect. They will need their own room/space as well so that when you go out, they are in a safe space. Please contact us if you would like more information about Gideon and Celeste. Our email address is info@safehaventn.com and you can fill out an application on our website if you are interested in offering these 2 dogs a forever home. They have been through a lot and have come a long way and are now socialized and ready for a forever family. Will you be their Christmas miracle?